In 1917 an American, Marshall Burns Lloyd invented a special loom that could weave twisted kraft paper into a fine weave and the result was a superior woven material called “Loom”. Many pieces of loom are then woven together making an extremely strong and long lasting aesthetic material. Loom weaving produces a much smoother and more beautiful result. This is due to the mechanical exactness in weaving as compared to human hand weaving. Loom products have been enjoyed at Buckingham Palace, the U.S Open, Wimbledon, and other notable places around the world. 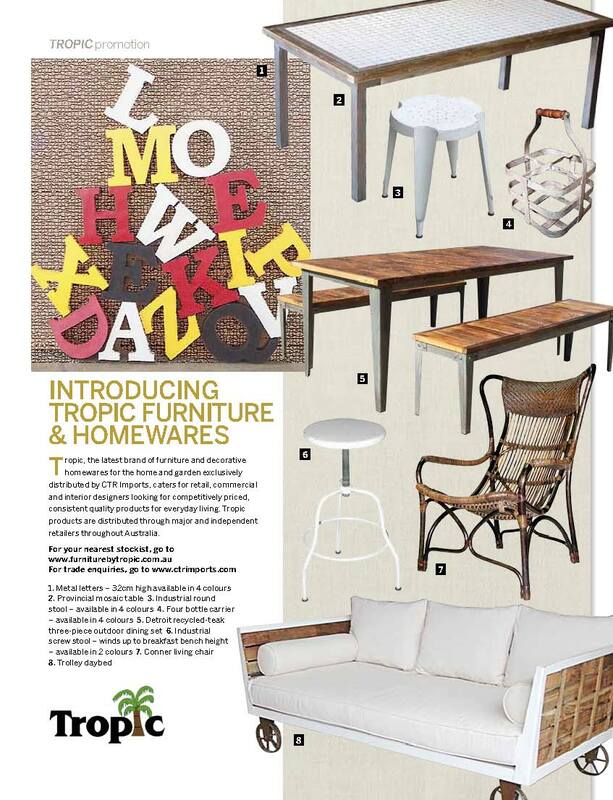 All the latest European / Japanese designs in rattan and combination rattan and wrought iron. This range is manufactured using only the highest quality materials. Strange shapes and a very individual finishing techniques provides a class above the standard “cane ranges” provided by other manufacturers. 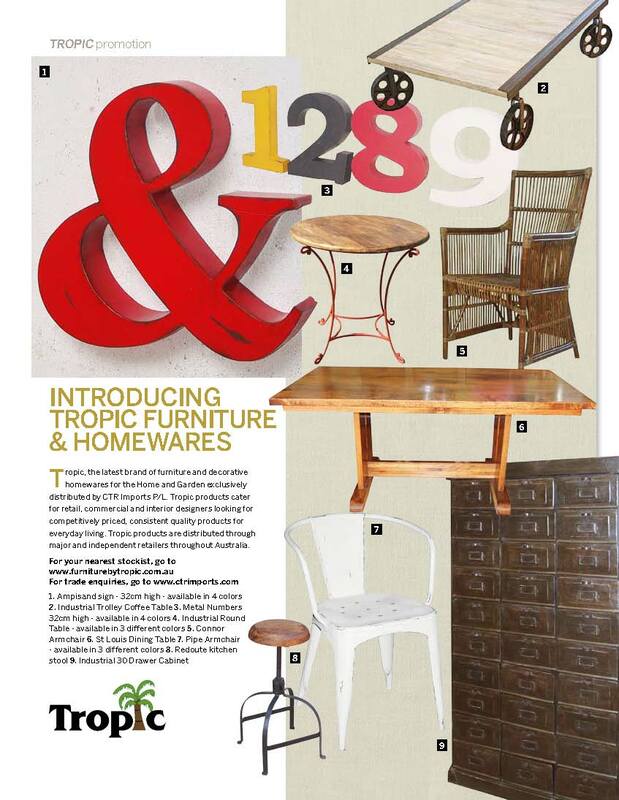 The latest brand for a host of furniture & decorating products for the home and garden exclusively distributed by CTR Imports. 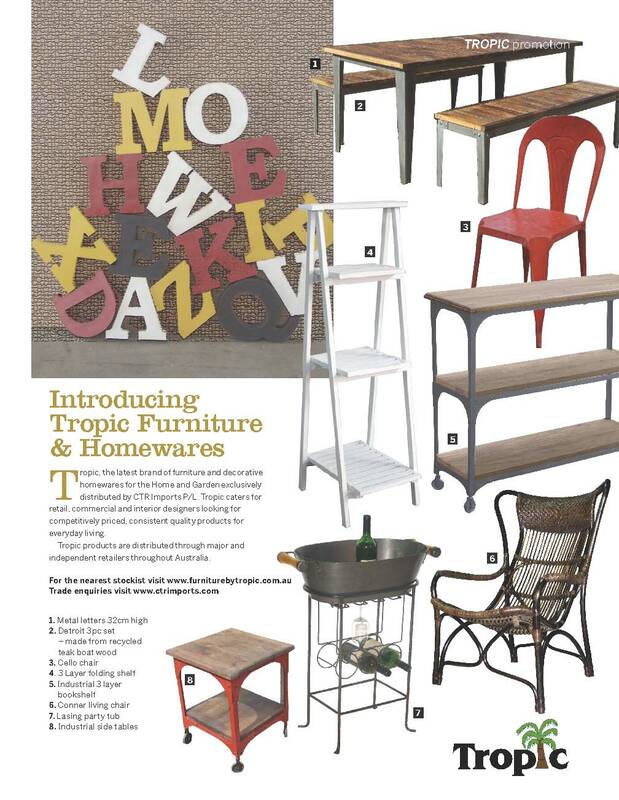 This brand caters for retail, commercial and interior designers looking for competitively priced, consistent good quality products for everyday living. 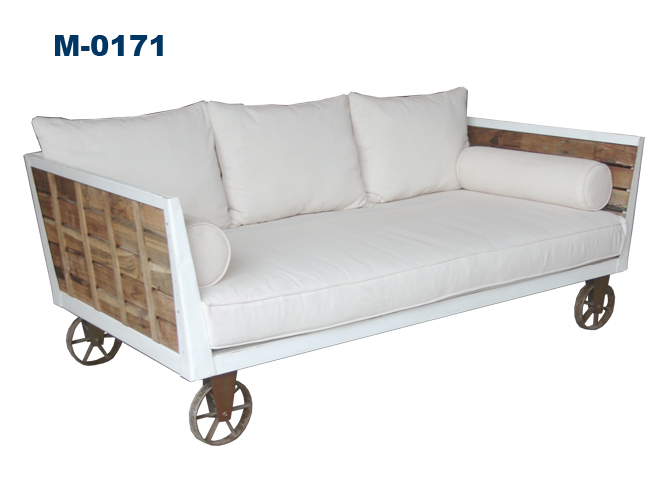 Introducing our wooden furniture range from India. Simple, solid furniture with a quietly imposing presence. Respectfully hand-crafted by traditional Indian craftsmen coupled with modern technology using plantation grown Acacia and Mango wood. Very rich in natural color and grain. Introducing old world charm for the modern ages. These products of yesteryear just proves that the fashion cycle just keeps going around. We have enhanced these items by adding colors suitable for any home. CTR Imports Pty Ltd is now offering a container program for any buyer. Whether you are a single stand alone store or part of a chain of stores, buying in containers will SAVE $$$ off wholesale prices. All you have to do is put together a minimum 20ft or 40ft Container of any products you desire with NO MINIMUM QUANTITIES. We take care of everything from Customs and Quarantine Clearances, Import Permits, Cartage from the wharf to the destination of your choice. ALL YOU HAVE TO DO IS UNPACK THE CONTAINER WHEN IT ARRIVES….. How easy is that? Unsure whether an item will work in your market, simply order 1 piece locally to trial. If you are happy with its response, add it to your container order. When you are ready to put your container together or would like to find out more information on the Container Program, just give us a call on 02) 9721 0581 or send us an email with your inquiry to sales@ctrimports.com. Whilst wholesaling is our primary business, we can also produce and import made to order products direct from our sources throughout the world. We have established partnerships with all of our suppliers so we can design and manufacture your exclusive products at indented pricing. Browse through our catalog and look for yourself. If there is a product you do not see or if you have any products that you would like to develop, then please do not hesitate to contact us anytime.